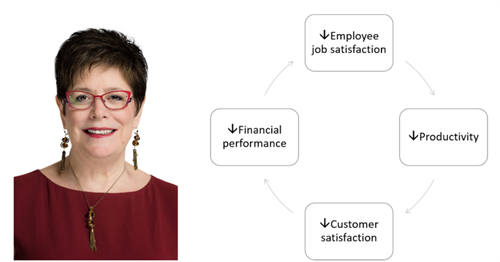 Study after study shows that the greater the job satisfaction, the better the performance of the organization – from the view of both the customers and the investors! Yet too many organizations continue to suffer from poor productivity, morale, employee retention, customer retention and financial performance. Whether you are an employer or employee, someone seeking to improve your organization’s culture or your own job satisfaction, this TOC Club Learning Event is for you! In this presentation, Lisa Scheinkopf shares a TOC based model and process for generating the kinds of high, positive energy & growth that organizations and their people crave, and gaining improved results that come from a satisfied workforce.